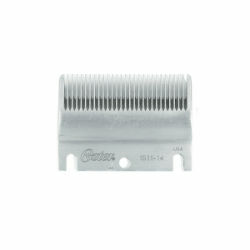 Taper-thin grooming blade is ideal for show clipping. Excellent for general clipping on all large livestock. Wider tooth spacing allows easy entry into thick or matted hair. Produces a smooth 1/4" cut.